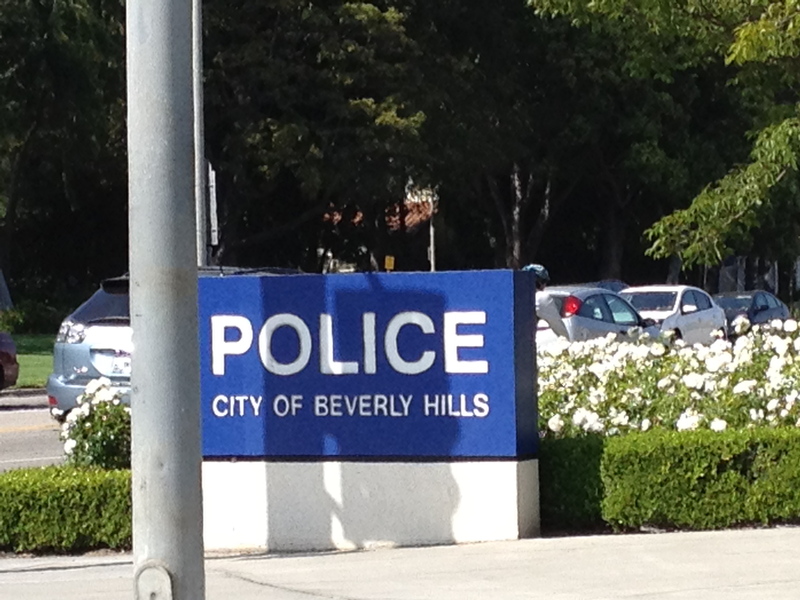 If you’re looking for information on how to secure the release of someone you know that’s been arrested and taken into custody in Beverly Hills, then you’re in the right place. Our staff of fully-licensed, professional bail bondsmen are well-acquainted with the Beverly Hills Jail and can quickly begin the process to get your friend or loved one out of custody as fast as possible. As a matter of fact, our staff is more than capable of sending you all of the bail bond application forms (which, for the record, are very simple and straight-forward) via fax or email, allowing you to remain wherever you’re most comfortable throughout the entire process. If you’d like to know more about Beverly Hills Jail bail bonds, give us a call any time – a bail bondsman is available 24 hours a day, 7 days a week to take your call. We can be reached at 310-782-BAIL (2245) or toll-free at 855-414-BAIL (2245). When someone is arrested in Beverly Hills, they’re taken to the Beverly Hills Police Station to undergo the procedure known as booking and processing. You’ve likely seen this this process many times on TV or in the movies. It’s where an arrestee has their photographs and fingerprints taken, and a national background check is conducted. Once this has been complete, bail will be set for eligible inmates. 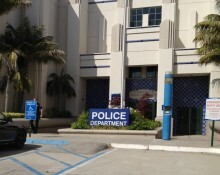 At the Beverly Hills Police Station, those who have been arrested on felony charges will typically be held there for two days, or for one day if they are charged with a misdemeanor. When Can a Bond Be Posted at Beverly Hills? Bail can only be posted at the station between the hours of 6 a.m. and 12 a.m., and if no bail has been posted within the time an inmate is held at the jail, they will be transferred to Twin Towers Correctional Facility. If the inmate is a woman, she will be sent to the Lynwood Jail. These larger jails are designed to house inmates for longer periods, and as such, they can often be quite busy, resulting in an additional 24 hours (sometimes longer) in custody for inmates who are transferred. By calling us immediately, we can often avoid the transfer process and significantly reduce the amount of time the inmate has to spend in custody. Bailing someone out of jail will allow him or her to spend their time leading up to (or in between) court appointments living their private lives and attending to their obligations. While in custody, individuals are unable to work, pay bills, attend classes, etc. and this can lead to losing their jobs, homes, or worse, custody of their children. When you bail someone out, it gives them the opportunity to attend to their business and make arrangements if their court dates result in a stay in custody. Everyone makes mistakes, and being able to get one’s affairs in order allows for the damage potential of those mistakes to be mitigated. Times like this can be stressful, and we know how you’re probably feeling. We’re here 24 hours a day, 7 days a week to quickly and discreetly help you through it all. To speak directly with a friendly, knowledgeable bail bondsman about Beverly Hills Jail bail bonds, call 310-782-BAIL (2245) or toll-free 855-414-BAIL (2245).